The glittering and bustling city of Mumbai, earlier known as Bombay has the distinction of being the largest metropolis as well as the financial, commercial, industrial and celluloid capital of India. It is the most cosmopolitan of all Indian cities, and there is a place for everyone in this potpourri of cultures and city of glamour. 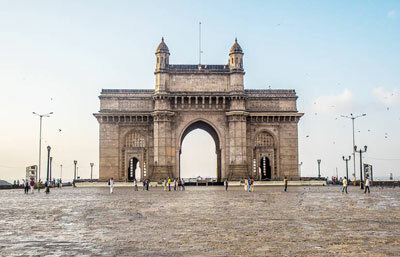 Mumbai is also the capital of Maharashtra, and is the hub of cinema and film making in India; the Indian Hollywood, which is known as Bollywood is located here. Mumbai once used to be a cluster of seven islands of Colaba, Mumbai, Mazagaon, Old Woman's island, Wadala, Mahim, Parel, and Matunga Sion, which were the homes of the Koli fishing community. Being situated on the western coast, it became an important trading center and port city after the English King Charles the Second gave it to the East India Company in 1668. The islands were named 'Bombay', meaning 'good bay' in Portuguese, by the Portuguese. 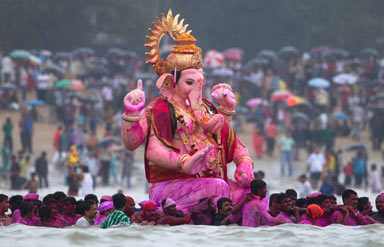 In 1996, it was officially renamed Mumbai, the name being derived Mumbadevi, the goddess of the Kolis. The city is likely to become the world's second largest metro by the year 2015. Mumbai is a veritable tourist delight has a host of cultural, religious and other interesting sites that are worth visiting. The wonderful Prince of Wales museum is regarded as one of the best museums in the country with art, sculpture, old firearms, and rare coins and a priceless collection of miniature paintings on display. The Gateway of India is a treasured monument that was built to commemorate the visit of King George V and Queen Mary for the Delhi Durbar in 1911. It is complete with four turrets and intricate latticework carved into the yellow basalt stone. 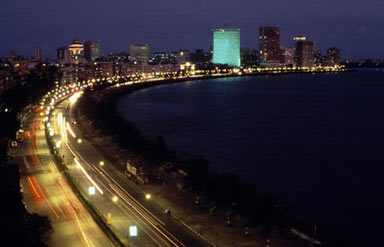 A popular sea front, Marine Drive is a winding stretch of road with tall buildings on one side and sea on the other. It was once called the Queen's Necklace because of its curved shape. The Juhu and Chowpatty Beaches are the most famous beaches that offer beach activities like camel and pony rides, acrobats and, performing monkeys and entertainers together with a splendid view of the coast. Mani Bhawan used to be the Mumbai residence of Mahatma Gandhi. one of the important places to visit in Mumbai. It has a reference library with over 2000 books and other of the Mahatma's belongings. The Tower of Silence, the open grounds where the parsis leave their dead bodies to be eaten by vultures attract a number of visitors from world over. The Hanging Gardens or Ferozeshah Mehta Garden and Kamla Nehru Park are located opposite each other. Both the gardens provide lovely sunset views over the Arabian Sea. The latter has the famous "Old Woman's Shoe" that is a delight to all children. The Jain temple houses frescoes depicting various events in the lives of the 24 Jain Tirthankaras. It also has a black marble shrine decorated with celestial personifications of the planets. Some of the interesting excursions sites around Mumbai are listed below. The Sanjay Gandhi National Park is a 104 sq-km protected area of forested hills with interesting flora, birds, and butterflies, and boasts a small population of tigers. The Bassein Fort and the fortified city of Bassein give a good idea of a Portuguese settlement. The city walls are still standing and you can explore the ruins of the Cathedral of St. Joseph. The hill stations of Matheran is one those nearest to Mumbai. No vehicles are allowed here and it has maintained its calm and quiet. It is a favourite week end getaway for the people of Mumbai. Lonavla is an unspoiled hill station 120 kilometres from Mumbai. It is ideal for a day or weekend trip, with its gurgling streams and quiet walks. The Elephanta Caves, Karla Caves, and Kanheri Caves are all located close by and a trip can be easily arranged. Mumbai has a national as well as international airport, and is well linked with most Indian cities and countries in the world. Mumbai is a prominent railway hub of the country. It is the headquarters to two railway zones, Central and Western. The main railway station is Victoria Terminal, now renamed Chattrapati Shivaji Terminal. Other railway stations are Dadar, Churchgate, and Kurla. We offer complete Travel to Mumbai(Bombay) and Tour Packages Mumbai (Bombay) that are inclusive of hotel booking, air booking services as well as cab and car hire services for the entire duration of your stay. Our Tours to Mumbai (Bombay) are convenient, cost effective and choice travel options. Mumbai is pleasant during the winters (November-March) and hot as well as humid during summers. Temperatures begin rising from the month of March till the onset of monsoons in mid-June, till September. October offers a relief from humidity and heat. Mumbai has one of the best selections of restaurants that offer almost all cuisines of the world. The cultural history of the city can be traced from the variety of food available in the city. From Parsi dhansaak to Gujarati thalis, and Muslim kebabs to Goan vindaloos, Mumbai has it all. 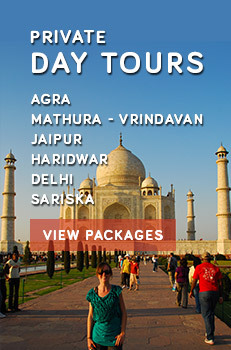 Caper Travel India offers wide range of West India Tour Packages. For more details send us query in detail.